It’s true. As Instagram user prettyandfit noted in the motivational poster above, a little change can make a big difference! 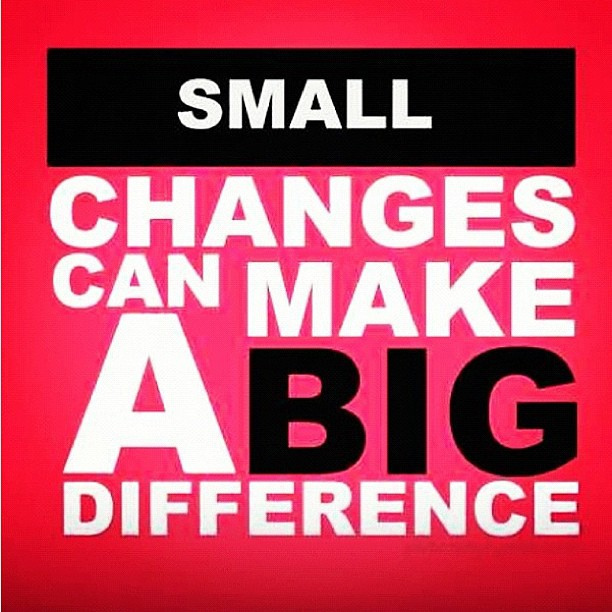 For example, making small changes in our daily habits can eventually lead to big results! And a simple act of kindness can make someone else’s day (see this list of 35 acts of kindness from a 2000 issue of O, The Oprah Magazine). Here are some of Oprah’s suggestions for some small, life-altering changes we can make today. Not included on the list, but recommended: take a bubble bath daily. 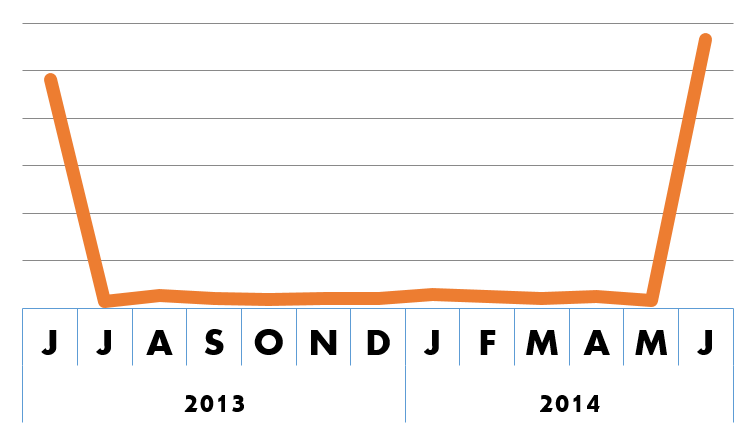 Nerdily, a single line, like – or /, can change the meaning of a number completely. The addition of the tiny prefixes “un-,“ “dis-,” and “a-“ can change the meaning of a word in a big way, as in “avolition” versus “volition” (<– today’s bonus psychology lesson). A small change in the emphasis of a sentence can change its entire meaning. (The sentence, “I never said she stole my money,” can be interpreted 7 different ways, depending on which word is emphasized!) And… a seemingly minor difference in splicing can change the role of a gene entirely! Let’s take a look at our Gene-of-the-Week, Krüppel-like factor 6 (KLF6). Drosophila gene Krüppel and its mammalian homologs, Krüppel-like factors (KLFs) 1 through 17, are triple zinc finger DNA binding proteins that can bind three base pairs to regulate gene expression. KLFs modulate cell proliferation, differentiation, migration, inflammation, pluripotency, and apoptosis, and altered KLF function has been associated with a large number of cancers1. Variant KLF6-SV1 decreases CDH1 and CDKN1A expression11 and increases expression of cadherin-2 (CDH2) and fibronectin (FN1), which are important for cell proliferation and migration12. KLF6-SV1 can also bind directly to KLF6, inducing rapid ubiquitination of KLF613. So, the moral of this week’s post is that small changes can make a difference…. and alternative splicing is really important! Also, be more like Oprah. June is National KLF6 Month! Last year, we celebrated the discovery of KLF6 as a novel aryl hydrocarbon receptor DNA binding partner15. This year, we celebrated KLF6’s role as a transcriptional regulator of macrophage polarization16!! The sponsors of this year’s celebration included Dual Therapeutics, a NYC startup that recently raised $7.5 million to develop small molecule therapies to modulate KLF6 and FOXO1 for the suppression of tumor growth and proliferation.